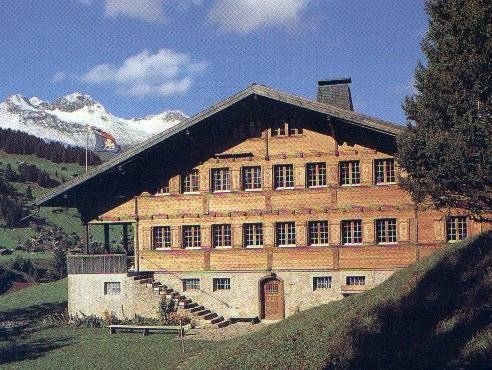 Right now I’m planning a winter trip to Adelboden, Switzerland, with my 9th grade Girl Scout troop. The World Association of Girl Guides and Girl Scouts own and operate four international program centers: Sangam in India, Our Cabaña in Mexico, Pax Lodge in London, and Our Chalet in Switzerland. Girl Scout troops may visit and stay in these lodgings at a modest price. My daughter’s troop, for which I am the leader, decided in 7th grade that they wanted to start saving money to travel to Our Chalet in high school. Planning for this trip has taught them how to set goals, develop money management skills, and work cooperatively with one another to fundraise and create their itinerary. I am very proud of my hardworking troop of girls. Going to the Swiss Alps in the winter has its downside. What if we get snowed in? What if the weather is so bad we never even see the Alps? These teens are warm-weather gals too, so the cold will be quite a shock, I’m sure. Right now the girls’ enthusiasm has them convinced that given bad weather they’ll be happy just relaxing in the lovely old chalet eating Swiss chocolate and cheese fondue. (I actually believe them – it’s their parents that won’t be happy about that!) But if luck is on our side, we will enjoy the many exciting activities we have planned: Snow Olympics, igloo building and guided hikes offered free by Our Chalet; snow tubing, tobogganing, a horse-drawn sleigh ride through the little town of Adelboden; and a day trip to the nearby picturesque city of Lucerne. Click here to find out more about Girl Scouting! Wow, that's great! I've been posting all about our trip these last few weeks if you're interested in reading! Thanks for sharing!